Throughout the ages, the most important issue for fruit growers and marketers is shelf life. Generally, fruits don't last long. However, a Malaysian company called Stixfresh has developed a sticker that will extend the shelf life of fruits by 14 days. 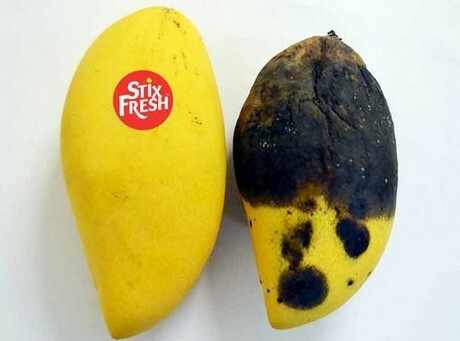 The Stixfresh stickers can be plastered on fruits like apples, pears, avocados, dragon fruits, kiwis, mangoes, oranges, and other citrus fruits. It will also keep the fruits firm, sweet and juicy. Stixfresh was founded by Zhafri Zainudin and he had one thought when creating the company, “Maybe I can’t stop nature, but could I slow it down?” 4 years down the line, he established the company alongside co-founders Moody Soliman and Steve Hulteng. The stickers are made with 100% organic materials. It comprises of sodium chloride and beeswax. The idea of the sticker is to reduce the ripening process by removing Ethylene, the ripening hormone found in fruits. It also inhibits the development of mould on fruits. Stixfresh has been operating in Malaysia for a few years now and have just opened the doors to their US office in November 2018. The company is doing their best to work with fruit farms all around Asia to get the sticker on their fruits. Expanding to the US is their first step in penetrating the western market. And according to mashable.com¸ they are not stopping with just citrus fruits. They also plan to develop a sticker that will work on berries and vegetables in the future.